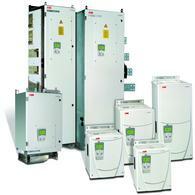 ABB has premiered a new high-performance series of DC Drive called the DCS800. This new product is specifically designed to meet the requirements of applications such as, food & beverage, converting, wire drawing, mixer, extruders, test rigs, ski lifts, metals, cement, mining, pulp & paper, printing and non-motoric applications like DC chargers or magnets. The new DCS800 drive scores high in terms of numerous innovative features like an ultra-simple operator interface, intuitive commissioning assistant, plus self-adjustment capabilities for all internal loop controllers and is fully programmable by using pre-configured function blocks. The DCS800 control panel and the commissioning tool DriveWindow Light serve as the set-up assistants, diagnostic and programming tools. Thanks to a wide choice of I/O expansion and serial communication modules, the drives can be easily configured as system requirements change. High-performance applications can be achieved by using the widely recognized standard tool CoDeSys which is compatible with all IEC61131 languages. With this software capability users may integrate their own application requirements into the DCS800 in a programming language they already understand.